Mu Shu Pork was, for years, the most popular Chinese restaurant dish in the west. Thin strips of pork are either deep-fried or stir-fried and then combined with a colorful array of Chinese vegetables. A flavorful sauce and bits of scrambled egg make the dish complete. It's unclear exactly how this popular dish from northern China came to be named. Most sources state that "mu shu" refers to flower blossoms, possibly cassia or from the olive tree. However, in The Chinese Kitchen, Eileen Yin-Fei Lo points out that the Cantonese call this dish "muk see yuk" or "wood shaved pork." Whatever the case, there's no doubt that the "woodsy" appearance of mu shu pork, with its combination of lily buds, cloud ears, and scrambled egg (meant to represent the yellow flower blossoms) is very appealing. Traditionally, Mu Shu Pork is served in Peking pancakes brushed with hoisin sauce. Continuing with the forest theme, the pancakes are meant to represent the ground or earth. At a restaurant, you may find them served with "green onion brushes"—slices of green onion that have slits cut on either side - that are used to spread on the hoisin sauce. The mu shu filled pancake is rolled up like a cigar, and then dipped in plum or hoisin sauce. It's probably not surprising that many people think of Mu Shu Pork solely as a restaurant dis— after all, how many of us have the time to be whipping up pancakes and soaking fungus on a typical weeknight? But there are ways to make the process easier and less time consuming. For one thing, both the pancakes and the Mu Shu Pork can be prepared ahead of time and frozen. Then again, why serve Mu Shu Pork with pancakes at all? It goes great over steamed rice. If you're not familiar with Chinese pancakes, crepes are another possibility. 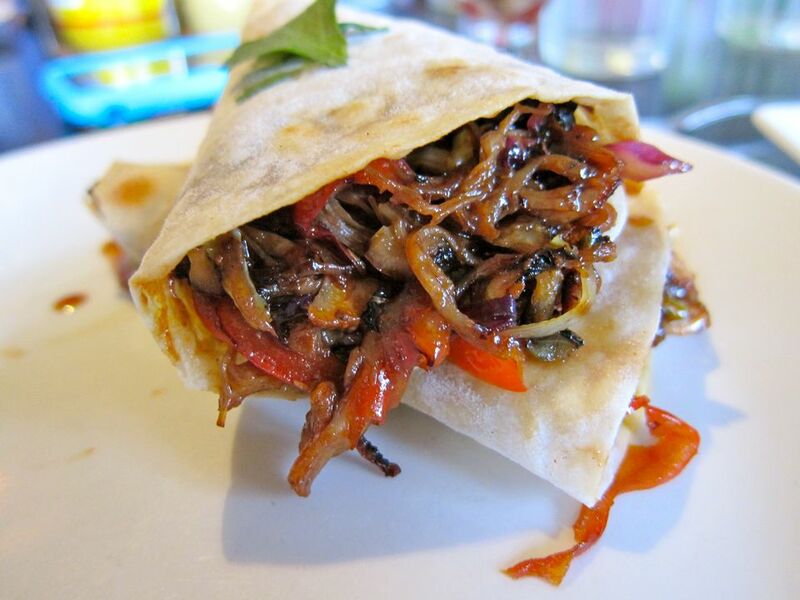 A popular Mexican variation is "Mu Shu wraps," where the pork and vegetable filling is served in a warmed flour tortilla. As for the meat, you don't need to stick to pork: recipes abound for Mu Shu chicken, ground beef, and turkey. You can even make a vegetarian version, substituting tofu or bean sprouts for the meat. Of course, there is still the trek down to the Asian supermarket to purchase lily buds and cloud ears—two items that generally aren't available in most grocery stores. In a pinch, ​you can substitute fresh mushrooms and a can of bamboo shoots, although the taste won't be the same. (If you do buy them, you might want to try your hand at a few other recipes that aren't too difficult to make, such as Hot and Sour Soup). Finally, there's always the option of heading to your favorite Chinese restaurant and letting someone else do the cooking! Try making Mandarin Pancakes to go with Mu Shu Pork. You can make Mu Shu Chicken Wraps, a fun variation with stir-fried chicken and coleslaw in tortilla wraps. A great side dish for your Mu Shu pork is Hot and Sour Soup, which is also made with cloud ears and lily buds.